This big leaf maple on Almira Drive doesn’t think the storm was overhyped. The Puget Sound region will likely clear eight inches of rain in one week. 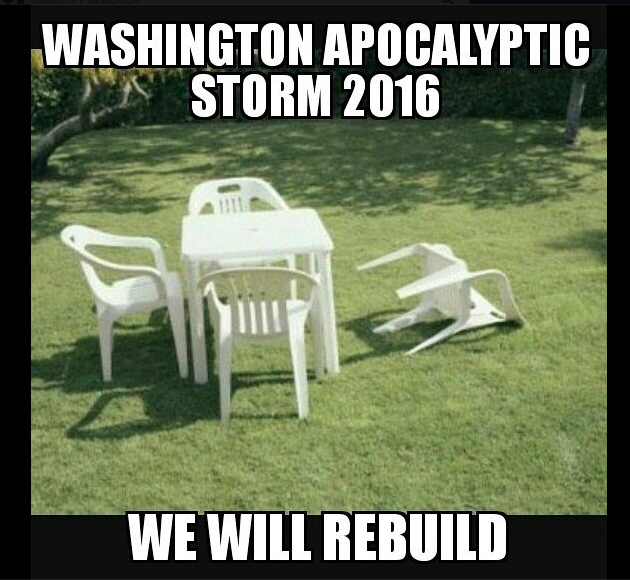 Dare I say that the first highly publicized storm of fall 2016 was … overblown? It had the potential to be an historic weather event, according to meteorologists at the National Weather Service. Put simply, the storm moved a little to the west and voila! — crisis averted. Technology in predicting weather is not perfect. 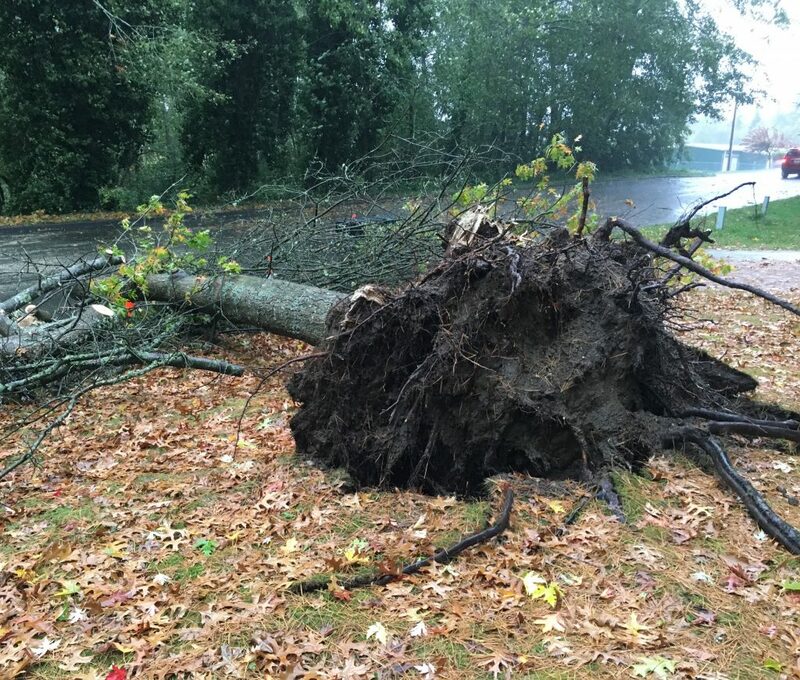 It turned out to be a run-of-the-mill October windstorm. But did the media overhype the dangers? I think I speak for the entire media (full disclosure: I do not speak for the entire media) when I say, sorry if you feel that way. I ask you to reverse the situation: What if we downplayed what the National Weather Service was telling us was a potentially catastrophic windstorm — and it actually happened? Let’s also not forget there are definitely people who will take you to task for saying this was a non-evevnt. Don’t tell Illahee resident Jim Bawers. 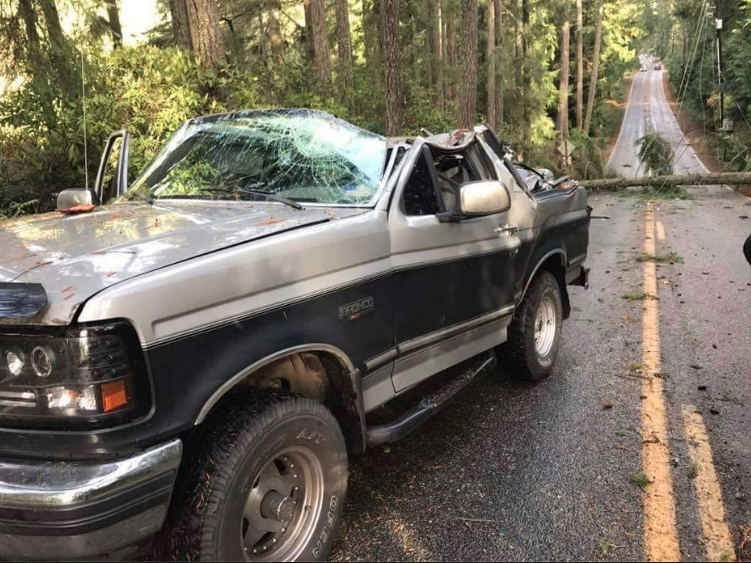 Early Friday, a branch ripped right into his bedroom off Illahee Road. He’s going to be cleaning up from this storm for months. And you might not want to mention it to the thousands of people in Kitsap County that went without power for hours, or the droves of emergency crews who put in lots of overtime putting our power grid back together. But what about all that time and money you shelled out, getting prepped for days without electricity? you ask. This meme is going around the Internet. But not everyone has just a lawn chair to pick up. Like many of you, I stocked up on essential supplies, to include some impulse-buys like Tim’s Cascade Potato Chips, Pitted Dates and India Pale Ale. Yes, I’ll never get that money back. But, let’s be honest: it made me better prepared for next time and I won’t have to hit the store before the Hawks game Sunday afternoon. And here’s the other thing: are we really going to complain too heartily that our region wasn’t slammed with what could have been a far more life-threatening storm? 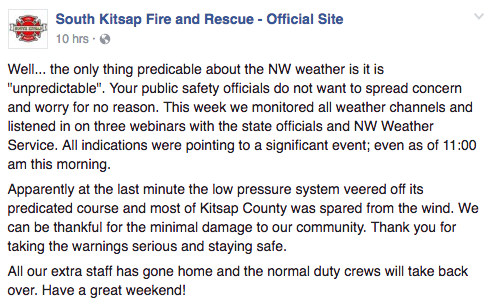 From South Kitsap Fire & Rescue’s Facebook page. Ready for the potentially historic storm Saturday night? I interviewed Bremerton Mayor Patty Lent about how to prepare for it, as well as what the city is doing to be ready.